"To speak is to act. That action sets an objective for us: to instill into others what we see inside ourselves. It is not important that the other person will see or not see the thing you have in mind. Nature and the subconscious may take care of that. Your job is to desire to instill your inner visions in others, and that desire breeds action. It is one thing to appear before a good public, reel off a few ta-ta-ta's and walk off. It is quite another to go out on the stage and act!" While this may seem like it doesn't have much to do with us as animators and has everything to do with the voice actors, I'd suggest we'd be mistaken if we thought this way. Your character on screen has to communicate through their expressions, gestures and actions the visceral reality of what they are saying. In life we speak in order to open up for others the window into the images and emotions, beliefs and ideas locked within our minds and souls. We speak in order to infect others with this reality. Do your characters exert this inner reality on the other characters in the scene when they move? Can we feel the energy of their communication? Can we see it in their eyes? Feel it on their face? Sense the effort and energy in their body? Or are they merely flailing limply through a series of prescribed generic motions that have some tangental relevance to the spoken words? The eyeline of the character is powerful if we use it properly. We need to feel the character almost burning through the thickness of others in the scene as they try to infect them with their thoughts and emotions. If the character has that focus in their eyes, if they earnestly play the moment to portray their inner reality through words and action on the other characters in the scene- then we start to walk down a path to some powerful performances. And if we don't take the time to work out what that inner reality even is in our characters, if we don't even know how, we will be crippled in our efforts to create animated performances that breathe real life in them. 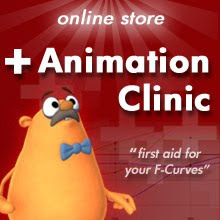 Animate from the inside out and play the emotion to the other characters in the scene. I think Stanislavski is very important to animators, moreso then we think. In The Jungle Book, there are three critical scenes. I can only remember two. When Kaa has Mwogli up in the tree, but is talking to Shere Khan, there is a discussion about the location of the man-cub. Kaa is lying and Khan knows it, but but if you look at their dialogue (just the words) it reads like Kaa doesn't know where Mwogli is, and Khan believes him. One of the other scenes is Baloo working up the courage to tell Mwogli to go back to the village after promising that he could stay. The third scene is something similar, dialogue and emotion run contrary to each other. Imagine this scene, but she is visibly making small talk about the gun because she is THINKING about how this is the man she loves, who saved her life, and she hasn't seen him in eight years. Now that's powerful. but I think it applies to pantomime stuff as well. You can have the character act one way to hide his frustration, passion, disgust, joy, suprise, or sadness but still give away his true emotion. That's a very sincere and human thing to do. For the record, I enjoy Sin City more than The Jungle Book, but I like Frank Miller more than Kipling. great post, i think for new animators like myself we have to be reminded to study all aspects of the animation world, this includes acting and comedy. i am taking an acting class (in addition to AM and VTS) and plan on doing some more comedy improv in the future. The famous "what if" method by Stanislavsky could be used by us, animators, to immerse ourselves into our characters' situations. IMO we generally fail to deeply understand our characters psiche and motivations. This leads to less than credible attitudes and voice acting. I'm very much into animated drama and my prefered films are exactly those where human emotions are expressed in a believable way.